It's very rare to hear me compliment a band for sounding like someone else, but this is one of those rare times. 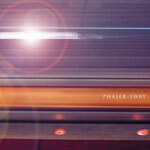 Phaser's debut release has done something amazing and managed to sound like Spiritualised without copying them. This is what Spiritualised's latest album could have sounded like if the band hadn't split and the quantum leap forward that "Let it come down" is hadn't materialised. Let me explain - I recognised the absolute brilliance of "Let it come down" when I heard it. But, on another level, I missed the old Spiritualised sound - the warm electronics, the vocals floating over the top - the transcendental feeling I got when I saw Spiritualised late at night at F�ile '93. Phaser seem to have captured that feeling, the "close your eyes and just feel the music" element. "Sway" is lush, warm and has just the right amount of feeling. This is a band I want to see live, and I can't think of a much better compliment I could give!